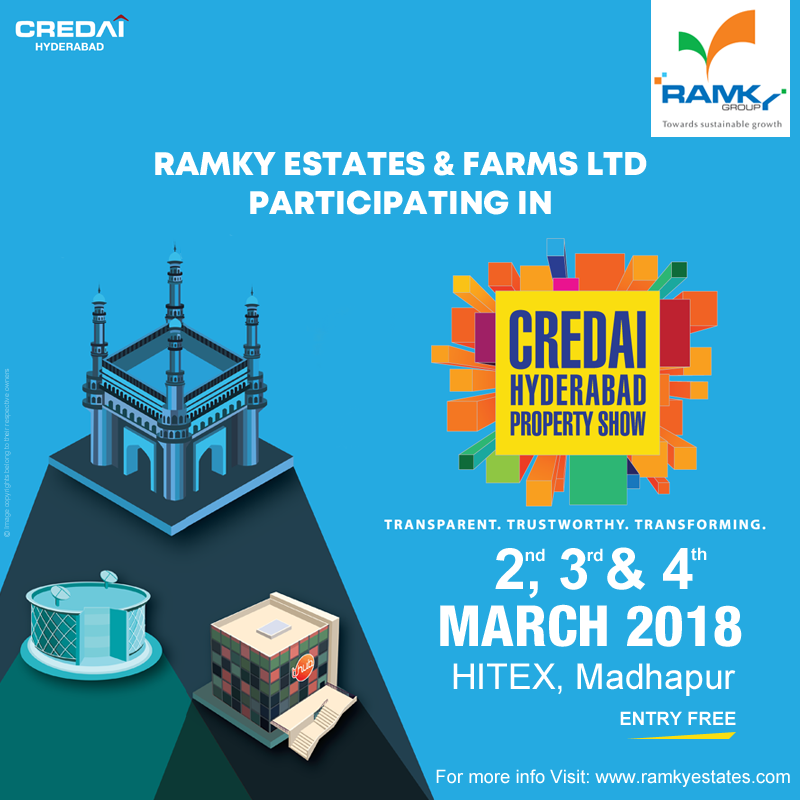 Ramky estates & farms ltd..: Hyderabad Property Show "CREDAI" 2018. We are participating in Hyderabad Property Show "CREDAI". The three-day event is happening at Hitex, Hyderabad. Visit our stall to experience all our projects at a single window and avail exclusive special offers on booking your #DreamHome.